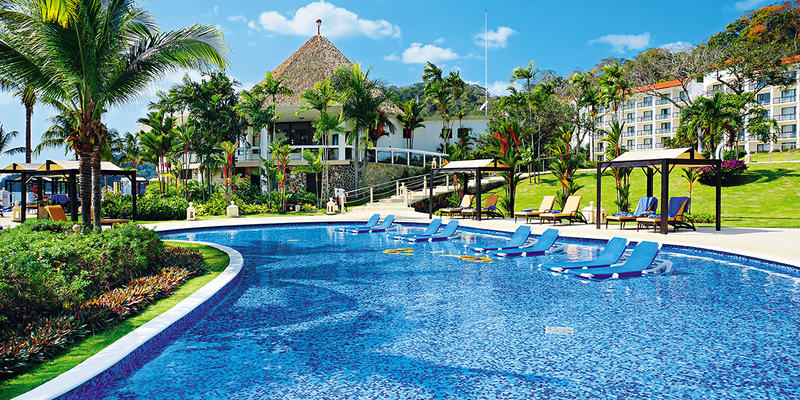 Dreams Playa Bonita Panama Resort & Spa is a family friendly all-inclusive resort located on the spectacular beaches of Panama, surrounded by beaches, rainforest, mountains and nearby Panama City. Explore the Panama Canal and the Punta Bruja Nature Reserve in the perfect resort location for travelers that want to experience the Panama culture. This Unlimited-Luxury® resort offers every guest special treatment, with 310 spacious non-smoking rooms and suites all with ocean views, fresh water infinity pool with breathtaking views and unlimited natural fruit juices, soft drinks and international and domestic top-shelf spirits. Our seaside accomodations offer 310 luxurious guest rooms and suites with jungle walkways and stunning views. Seven dining options, including four ocean view gourmet à la carte restaurants, and four bars are all included in the Unlimited-Luxury® experience. There’s no shortage of relaxing pleasures here with an infinity pool, the Dreams Spa by Pevonia®, supervised kid’s and teen’s clubs and so much more. The more active guests can also take advantage of watersports like snorkeling or scuba diving. In town, explore the Panama Canal or Panama City’s colonial district, designated a UNESCO World Heritage Site. Or go shopping at the largest mall in the Americas with our complimentary daily shuttle service. From luxurious relaxing to new experiences, you’ll enjoy the perfect vacation your way.